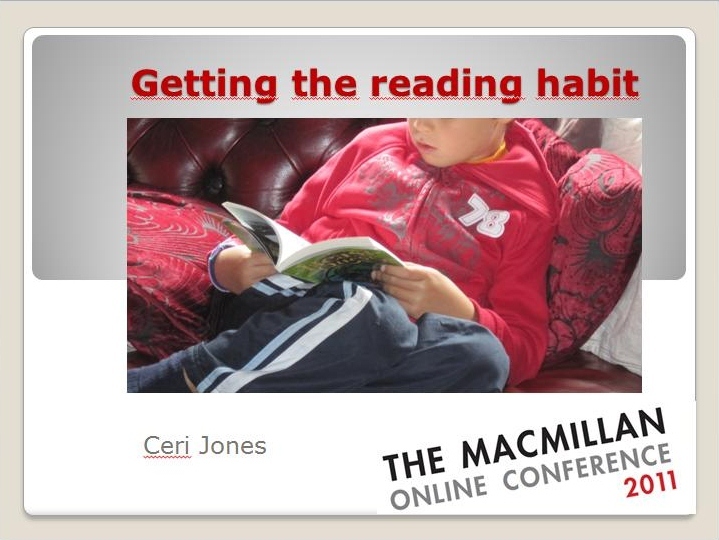 Here is a link to my slideshow for a webinar I presented at the first Macmillan Online Conference on November 9 2011. Thank you so much to everyone who was there. It was great fun, and a great atmosphere. Haha, me too Antonia! Although this time it was my own fault for having a terrible memory!